Reliance Industries (RIL) is ready to unleash its e-commerce dark horse to take on the likes of Amazon India and Walmart-owned Flipkart. Chairman and Managing Director Mukesh Ambani on Friday said Reliance Retail and Reliance Jio Infocomm were set to jointly launch their new e-commerce platform in the country. 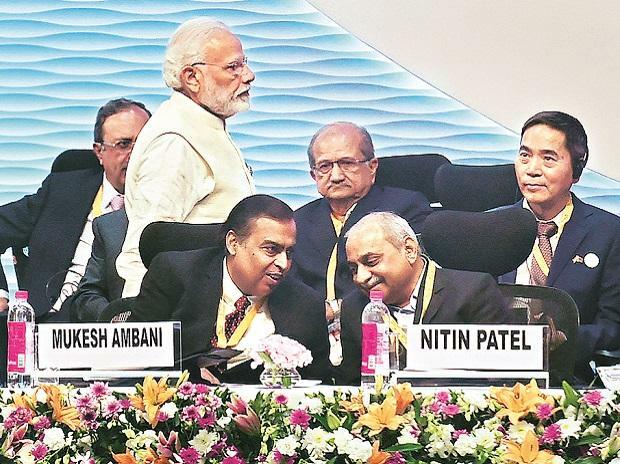 At the inauguration of the three-day Vibrant Gujarat summit, Ambani said Gujarat was where the company would start operations while apprising Prime Minister Narendra Modi of the global conglomerate’s online marketplace plans. “Jio and Reliance Retail will launch a unique new commerce platform to empower and enrich our 1.2 million small retailers and shopkeepers in Gujarat, which are part of the over 30-million (retail) community in India,” he said. Ambani added the e-commerce business would empower 1.2 million shopkeepers in Gujarat. It was during RIL’s 41st annual general meeting last year that Ambani had given a gist of his e-commerce plans. According to sources, with as many as 50 brand new warehouses specifically for e-commerce operations, 3 million small merchants hooked to cloud-based services, a new set of small format fashion stores called Trend Express and an inventory-based online marketplace model, Reliance is set to be the biggest player after Amazon India and Flipkart. The firm has 7,500 stores, 350 million customers, 215 million Reliance Jio users, a well-oiled backend machinery of a telecom network, digital money wallet JioMoney, and a taxation and inventory management solution JioGST. Sources said the company had been working on its e-commerce plans for more than three years. The company has been adding a slew of private labels, acquiring controlling stakes in various fashion brands, and is in discussion with several fashion retail brands in the country to create a separate line of co-branded only for Reliance-made products, which it would be selling via a new chain of small format retail stores called “Trend Express”. Reliance, which is calling its online marketplace an extension of its brick and mortar outreach, will not have any sellers or vendors on the platform and follow an inventory-based model. "Reliance wants to be the sole supplier of inventory to its merchants, mom and pop stores and retailers all over the country. It will sell inventory through its B2B arm, which would be then sold by its merchants offline as well as on Jio's online marketplace,” said a senior consultant advising Reliance on logistics and supply chain. Launching the digital wallet JioMoney, tax solution JioGST and its Payments Bank have been key developments in the run-up to the launch of its online marketplace. Ambani also reiterated his stand on data localisation. He urged Modi for migration of control and ownership of data to India. Ambani called for a “movement against data colonisation”, a move seen as against global tech majors like Google, Facebook and Apple owning and storing abroad data belonging to Indians. "The entire world has come to recognise you (Modi) as a man of action. I therefore conclude with a suggestion for your kind consideration...India's data must be controlled and owned by Indian people and not by corporates, especially global corporations. For India to succeed in this data-driven revolution, we will have to migrate the control and ownership of Indian data back to India. I am sure you will make this one of the principal goals of your Digital India mission,” Ambani said.